In 1985, Franz Alfred Haas made himself independent as a qualified turner's master in the industrial area „Am Auwald“. He opened a small mechanical workshop in which he worked on parts on lathe-and milling machines. Bit by bit he also took over repair in machines and vehicles of all kind. In his free time, he always worked with forest machines and worked also as a logger in the woods. At this activity, he recognized the potential for improvements for those machines. So he began to carry out improvements on different machines and partially to upgrade the devices. That development led to a new branch of industry "special superstructures". In 1991 a small workshop was built and some employees were hired to start up the construction of machinery. It were superstructures in tractors like cable winch, forwarding blade and later also cabins were rebuilt and booms attached. The machines were shown at forestry exhibitions and found a big resonance at the customers. In 1998 a close cooperation with John Deere Forestry (formerly Timberjack) was started. By an increasing number of special attachments at John Deere forest machines. Soon a bigger workshop for those jobs was needed. Haas built in the year 2000 a new, modern factory with big office section, which completely encloses a total of approx. 1200 m². 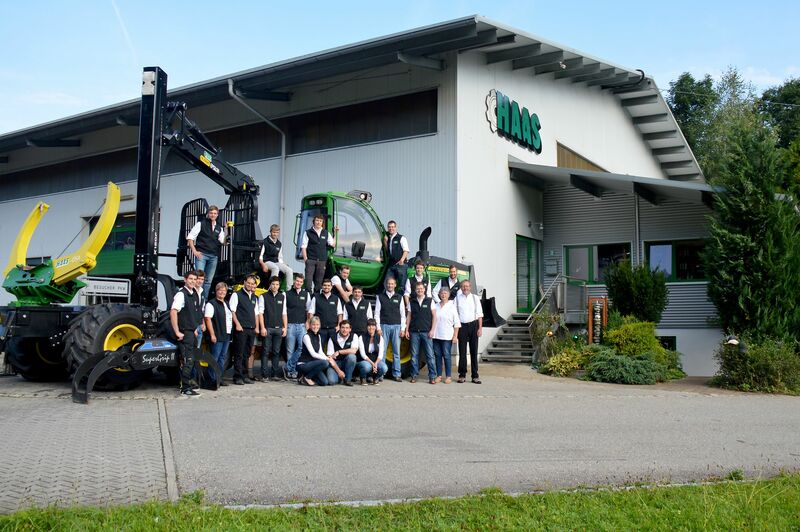 In this brilliant equipped workshop, all modifications are developed by owner Franz Haas and realized for complete Combi-machines by Skidders, Harvesters, Forwarders and Excavators (new ideas on request) by his team. By this time, the company Haas Maschinenbau is known in whole Europe and also in South America for his modifications at John Deere forest machines. So that HAAS can present the sales, service, manufacturing, quality and the biggest program of the different modifications from one hand. Currently the complete team have 30 motivated employees.